Our friendly, qualified, highly experienced Shropshire computer engineers have many years experience in Shropshire computer repair and Shropshire computer fault finding. At one time, it was possible to perform a full Shropshire Windows computer reinstallation onsite. However, times change. Modern home computers require regular updates to ensure that Windows runs correctly and that the computer is secure. A&A UK Computers believe in quality workmanship. When we repair a home computer, we clean internal components and we perform full updates. This takes time. 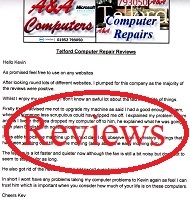 This is why many UK clients deliver their system to us, or we collect locally (we offer free local collection and free computer return with our UK computer repair service). 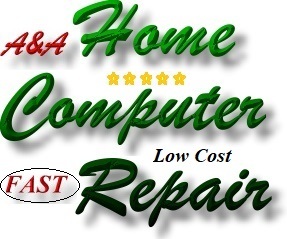 Most UK home computer repairs (UK Home PC Repairs or UK Home Laptop Repairs) are completed within 24 to 48 hours and the system is usually returned with 24 hours of the system passing its final checks.